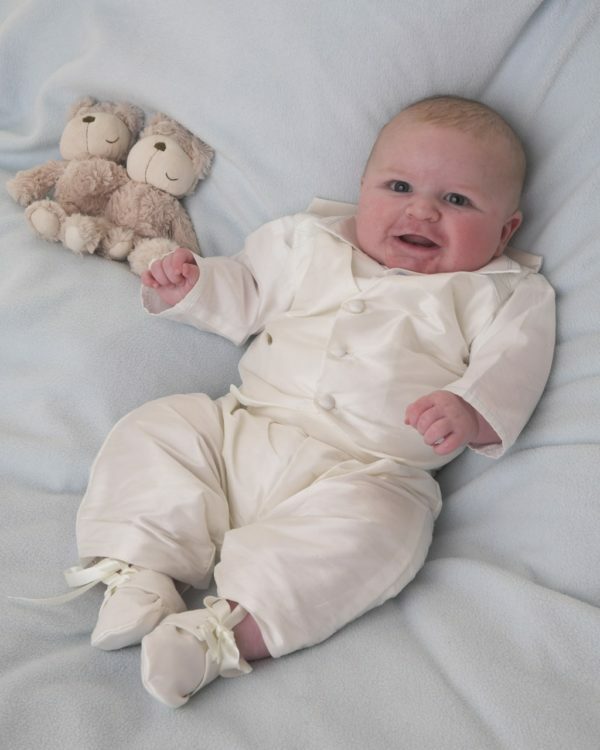 Our ‘Riley’ Christening Suit is simply stunning. 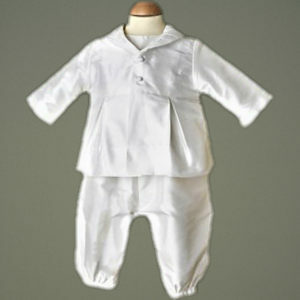 This smart 3 piece outfit comprises of trousers, shirt and waistcoat. 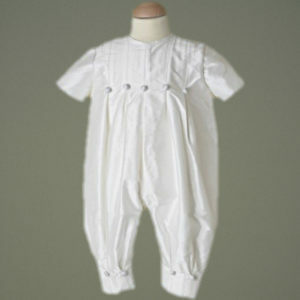 This outfit is available in both antique white and ivory 100% dupion silk. The ‘Riley’ suit; made of 100% ivory or Antique White dupion silk; the waistcoat has a small stitched embroidered panel on the shoulder available in blue or a coordinating ivory or white metallic thread. The shirt is top stitched with a pearlised button to match in either the blue or coordinating metallic thread. 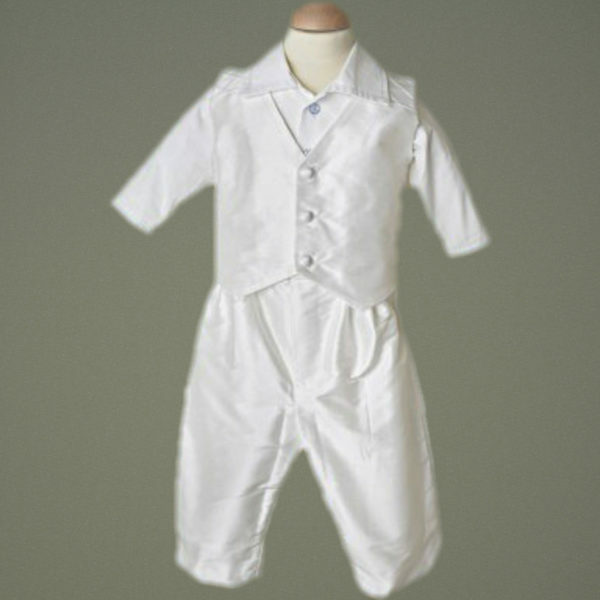 The ‘Riley’ suit; made of 100% ivory or Antique White dupion silk; the waistcoat has a small stitched embroidered panel on the shoulder available in blue or a coordinating ivory or white thread. 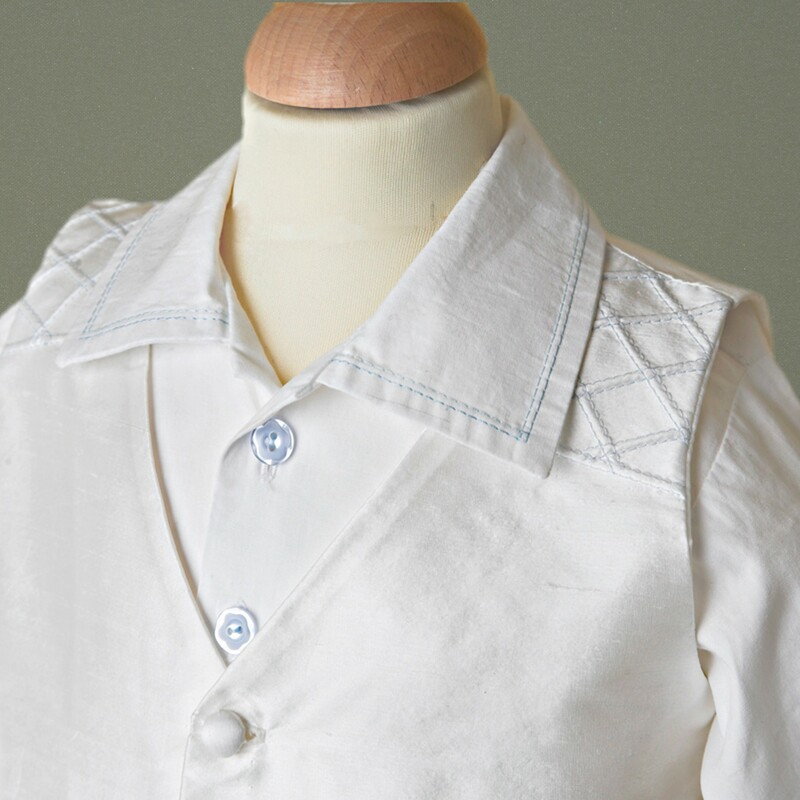 The shirt is top stitched with a pearlised button to match in either the blue or coordinating thread. 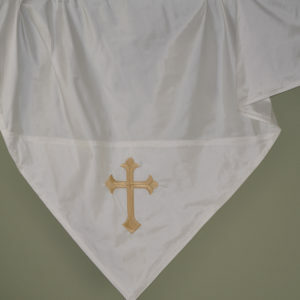 Coordinating ‘Riley’ accessories are available to accompany this suit. 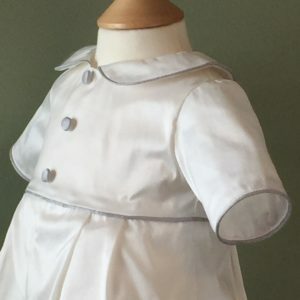 Sizing: Because we make all rompers to order and want to achieve the best possible fit we will contact you for your little ones comprehensive measurements. 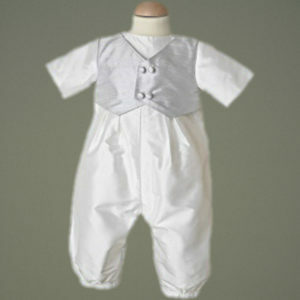 It will be a truly made to measure romper for his most special day. Important Information (Please read before ordering): Dispatch: Due to the fact everything is handmade please allow up to 10 working days for dispatch. 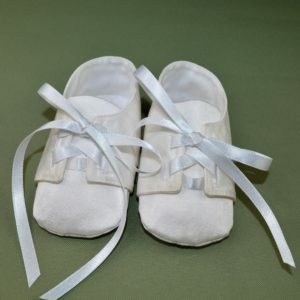 If you require your romper sooner then please contact us prior to making a purchase and we will do our best to priorities your order.